The dependability, portability, image quality and versatility of the DSLR makes them the perfect choice for the professional photographer. 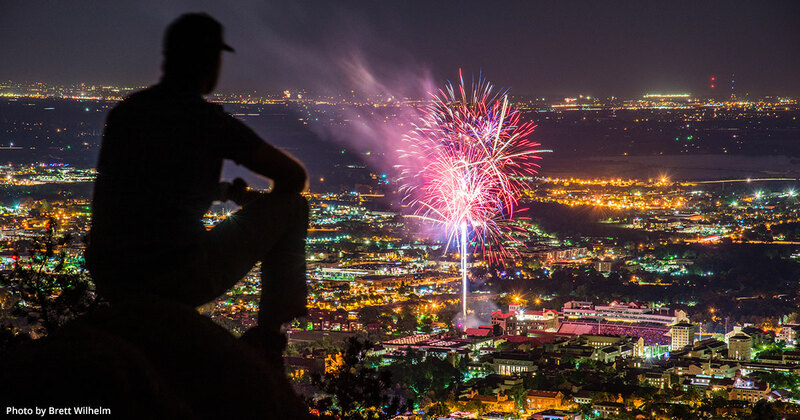 Sports photographer Brett Wilhelm hiked up Flagstaff Mountain overlooking Boulder, Colorado, on July 4th with his Nikon D810, knowing the full-frame 36-megapixel sensor and no optical low-pass filter would capture not only the color palette of the fireworks, but also the vibrant details of the town below, while still maintaining the deep black of his silhouette. Editor’s Note: This piece first appeared in our Spring issue and reflects the products available at the time of publication. 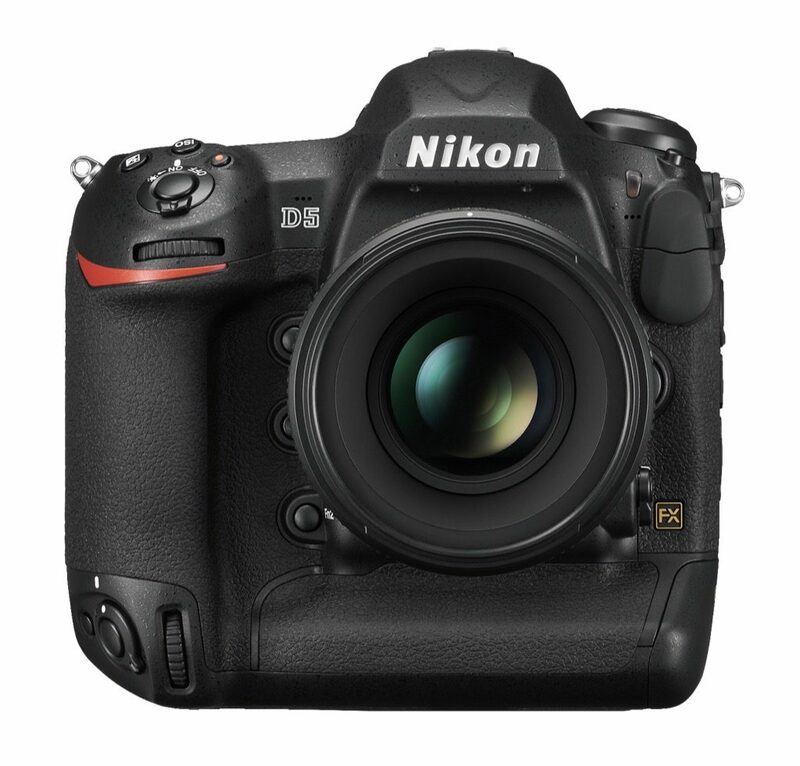 To see our coverage of new DSLRs, visit our Camera and News sections. There have been tremendous innovations in mirrorless and compact cameras recently, yet while compact cameras of all kinds are getting better and better, there’s still one type of camera that sets the standard for professional quality and versatility: the SLR. The acronym SLR (or DSLR) stands for single-lens reflex (the D is for “digital”). The “single lens” refers to one lens that’s used for viewing as well as taking the picture, as opposed to a rangefinder that uses separate lenses for these purposes. The “reflex” refers to a reflection of the image that’s directed from a mirror through a prism and to the optical viewfinder. This brings us to one of the first and most obvious benefits of any SLR: The image you see in the viewfinder is exactly the image you’ll capture on the sensor. You see, with a rangefinder, because there are two separate lenses for composing and taking pictures, there’s always a slight difference—and sometimes a big difference—between what you see and what you get. 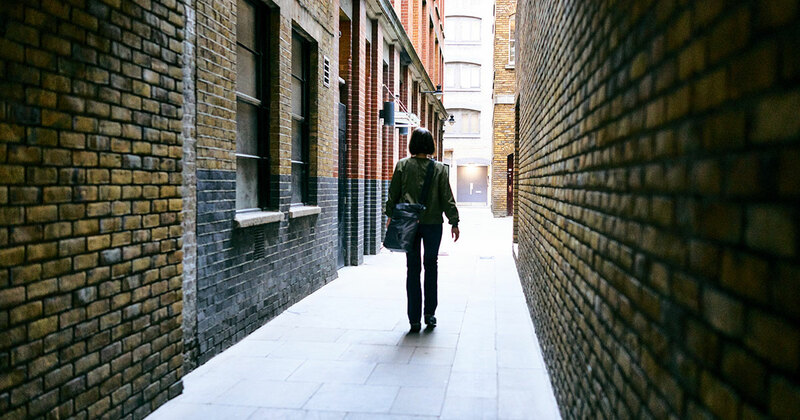 A DSLR eliminates that parallax. But that’s not really what SLRs are known for. They’re known for control. These cameras provide photographers who want it complete control over focus and exposure settings—apertures, shutter speeds, ISOs—as well as more advanced settings such as frame rates, file sizes and much more. If you want to take manual control over any or every aspect of picture taking, the SLR is a great choice. One of the biggest benefits of the DSLR is that the photographer is buying into a family of camera bodies, lenses and accessories that allow for complete customization of the camera system. The complement of lenses available for a Nikon DSLR, for instance, is in the hundreds when you include pre-autofocus and pre-digital lenses designed for the Nikon F mount—which, by the way, has been in use for nearly 60 years. The available lenses get even larger when you factor in aftermarket lens makers such as Sigma, Tamron, Tokina and Zeiss, who manufacture lenses for the Nikon F-mount system and several others. While Nikon is a particularly robust example, a similar array of lenses and accessories are also available for DSLRs from Canon, Pentax and Sony’s A-mount cameras. All those lens options mean you can shoot from a wider focal length to a more telephoto focal length by choosing a DSLR. It also means there’s a camera and lens combo for every photographic need, no matter how specific. And don’t forget about accessories, from flashes and remotes to teleconverters and battery grips. 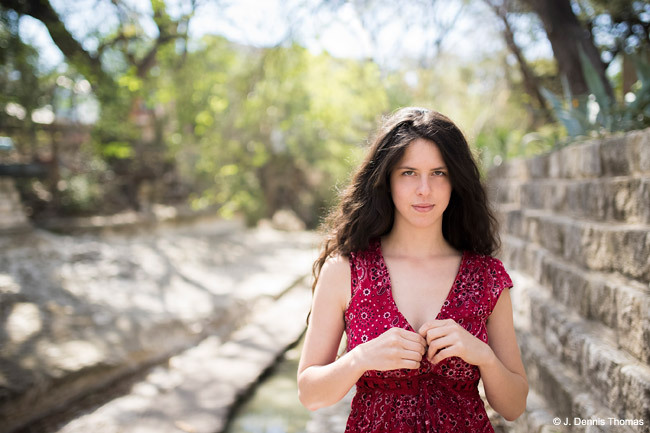 Because DSLR lenses are often larger than compact camera lenses, they can also be faster—meaning they sport a wider maximum aperture that lets photographers work at faster shutter speeds in lower light. This is yet another reason why DSLRs set the standards for sports photographers, wildlife photographers, commercial photographers and photojournalists. That said, the gap between the lenses available for mirrorless systems and SLR systems is closing. DSLRs tend to be feature-rich and the places where camera manufacturers tend to debut their newest and best technologies. For instance, when Canon makes its autofocus faster, quieter and more accurate, it debuts in the EOS DSLR ecosystem. Likewise, when sensor quality and image processing technologies are improved, they’re first applied to DSLRs. For photographers looking for the best new technologies, the DSLR format is the sensible place to start. Most DSLRs have full-frame sensors that approximate the size of a 35mm negative. These produce very high-quality, low-noise images while also allowing for higher resolutions and shallower depth of field. The latter is a benefit in many situations, from portraits to candids, because it facilitates separating subject from background. Full-frame sensors are rarer in mirrorless cameras, so if you want a full-frame sensor, the DSLR is often the first place you look. If you want a smaller sensor—which leads to more compact cameras and lenses, as well as the “crop factor” that makes lenses perform more telephoto than their focal-length measurements would otherwise indicate—there’s a DSLR for you, too. That’s a benefit for photographers who want a longer reach with their lenses—wildlife photographers, for instance, or sports shooters. The downside, however, is for photographers who like to work at ultrawide focal lengths, which are harder to achieve with the smaller APS-C and Four Thirds sensor sizes. Finally, if you’re hard on your cameras and you use them in extremes of temperature or dusty, dirty, sandy conditions, you may want to consider a DSLR. 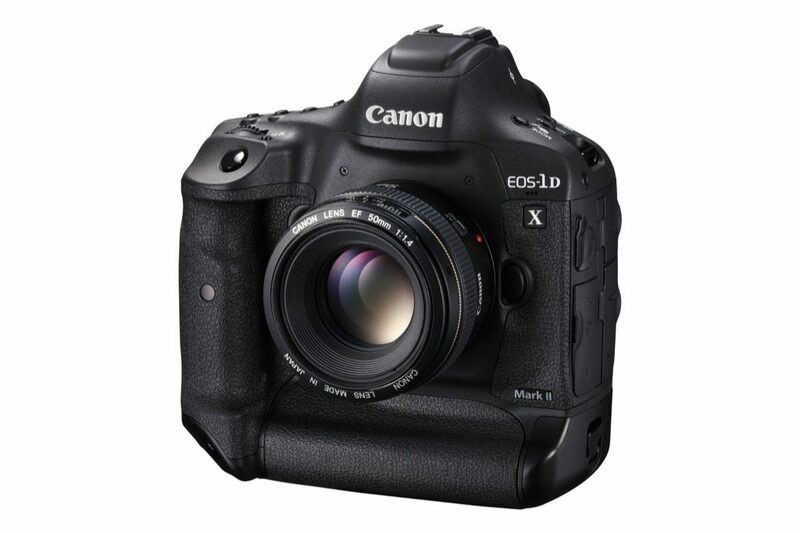 Many high-end DSLRs, in particular, are made to withstand the rigors of professional use, so they’re often constructed using more durable materials with weathertight seals to prevent dirt and moisture from infiltrating the sensitive electronics inside. This technology, too, has trickled down to consumer cameras, as well. If you’re shopping for an SLR, you may come across a modern variation known as the SLT. This single-lens translucent camera uses a pellicle mirror—a super-thin, semi-transparent, non-moving mirror that acts as a beam-splitter, sending some of the light to the sensor while diverting some of the light up through the pentaprism and to the viewfinder. This technology allows for a fixed mirror in place of the moving mirror that swings up and out of the way during exposure in a traditional SLR. By eliminating the swinging mirror, SLT cameras not only allow you to see the frame during exposure (traditional SLR viewfinders go dark at the moment of capture), but they also can employ full-time phase detection autofocus during video recording or live viewing of the sensor from the rear LCD. Shoppers interested in SLT bodies these days look to the Sony Alpha a77 II and the Sony Alpha a99 II. The major gripe against DSLRs is that they’re bigger and heavier than compact mirrorless cameras. The added weight of a larger camera—not to mention multiple lenses added to a camera bag—means that for photographers for whom low weight and small size are essential (travel photographers and those who carry their equipment on their backs for long periods of time, for example), compact mirrorless cameras are increasingly appealing. Technological advancements in compact cameras mean they now approach and in some cases surpass the quality and features of DSLRs. They finally present the first real challenge to the supremacy of interchangeable-lens SLRs in the digital era, but they’re also getting bigger as a result of adding more features. The Canon EOS-1D X Mark II and Nikon D5 represent the best SLRs these camera makers have to offer. In fact, they’re the best DSLRs available anywhere, and the choice of professionals everywhere—from fashion photographers to photojournalists. Canon’s flagship DSLR, the 1D X Mark II, uses a full-frame CMOS sensor with a resolution of 20.2 megapixels and a fast 16-frame-per-second burst. It has a 61-point high-density reticular AF II system and an ISO range from 100 to 51,200, expandable to 409,600. The Nikon D5 sports a 20.8-megapixel full-frame CMOS sensor, native ISO up to 102,400 (expandable to an unprecedented 3,280,000 for shooting in impossibly low light) and a new 153-point autofocus system. Sports photographers love the 14-frame-per-second maximum speed, as well. Both cameras can capture 4K video, and both feature heavy-duty construction to withstand dust, moisture and the rigors of professional photography. If the $6,000 price tag of Canon’s professional EOS-1D X Mark II is too much for you, consider the brand’s flagship enthusiast DSLR: the EOS 5D Mark IV. This full-frame, 30-megapixel DSLR features an improved autofocus system, 4K video recording capability and continuous shooting up to 7 frames per second. 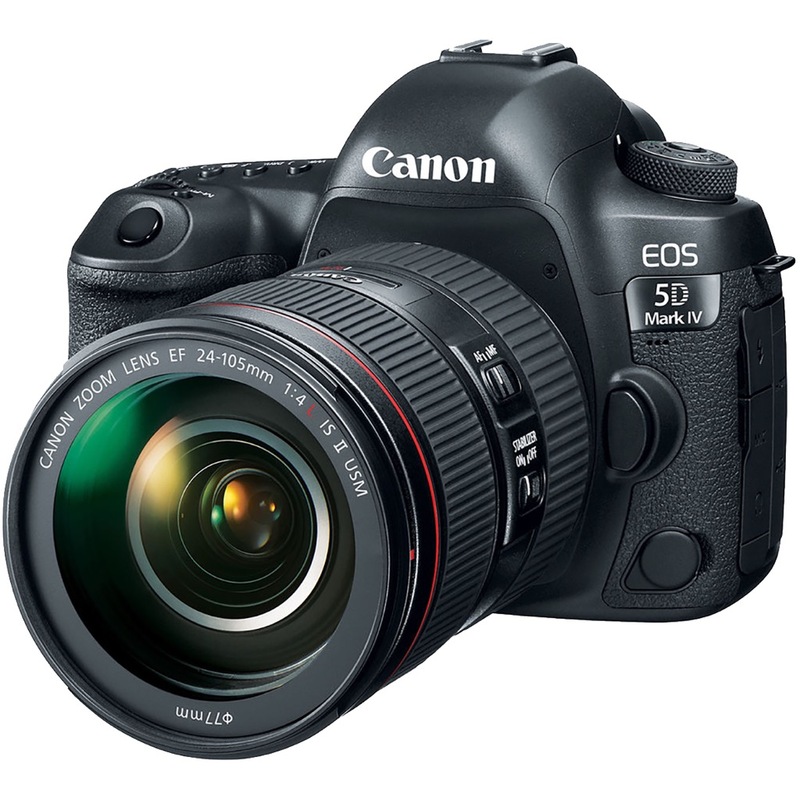 Known for its low-light capability, this newest iteration of the 5D offers an ISO expandable up to 102,400. The camera also features built-in WiFi for controlling the camera and transferring images from a smartphone or computer. The Nikon D500 was one of the most popular new cameras of 2016, and for good reason. 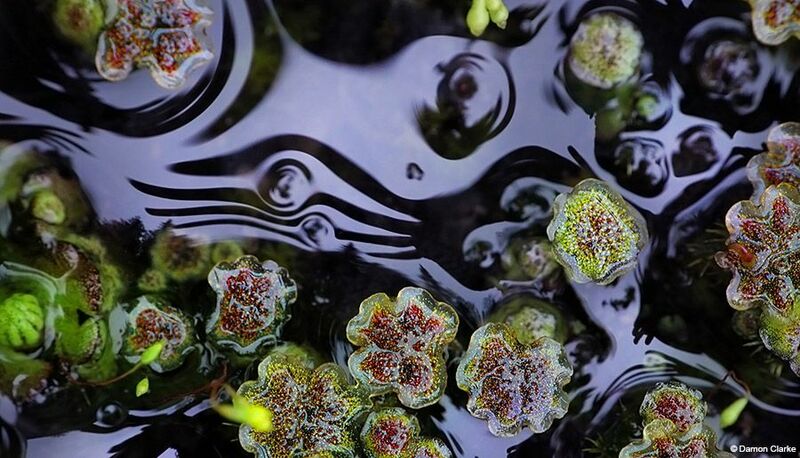 The DSLR features a 21-megapixel APS-C sensor, and with continuous shooting up to 10 frames per second, sports and wildlife photographers are sure to appreciate the camera’s speed, too, with the added magnification the smaller sensor provides. 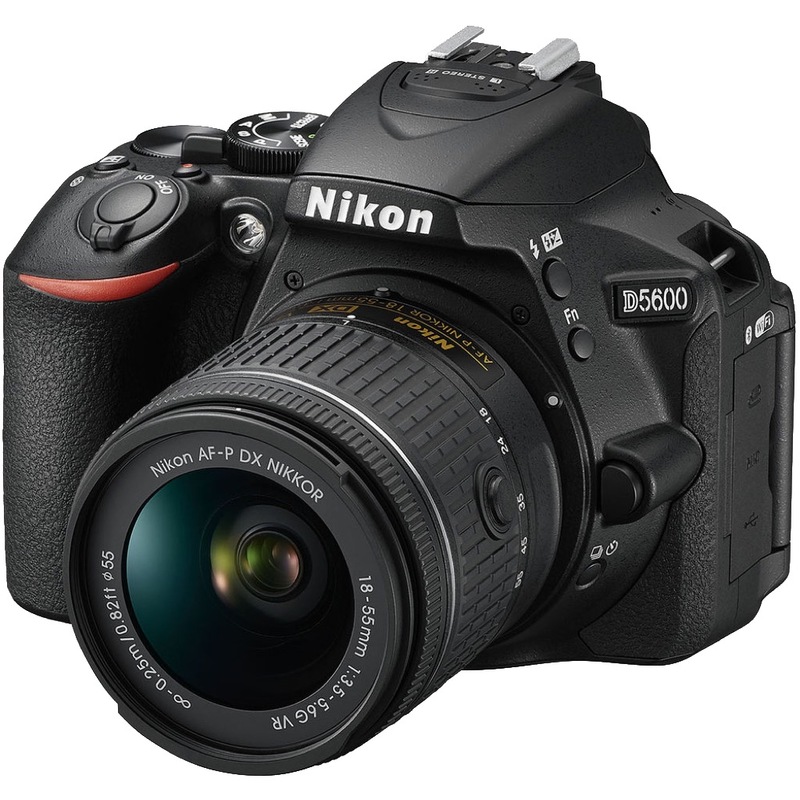 Features such as the 153-point autofocus system and RGB metering sensor of the company’s top-of-the-line D5 have trickled down to the D500 as well. Bluetooth connectivity and 4K video capability round out the robust package. 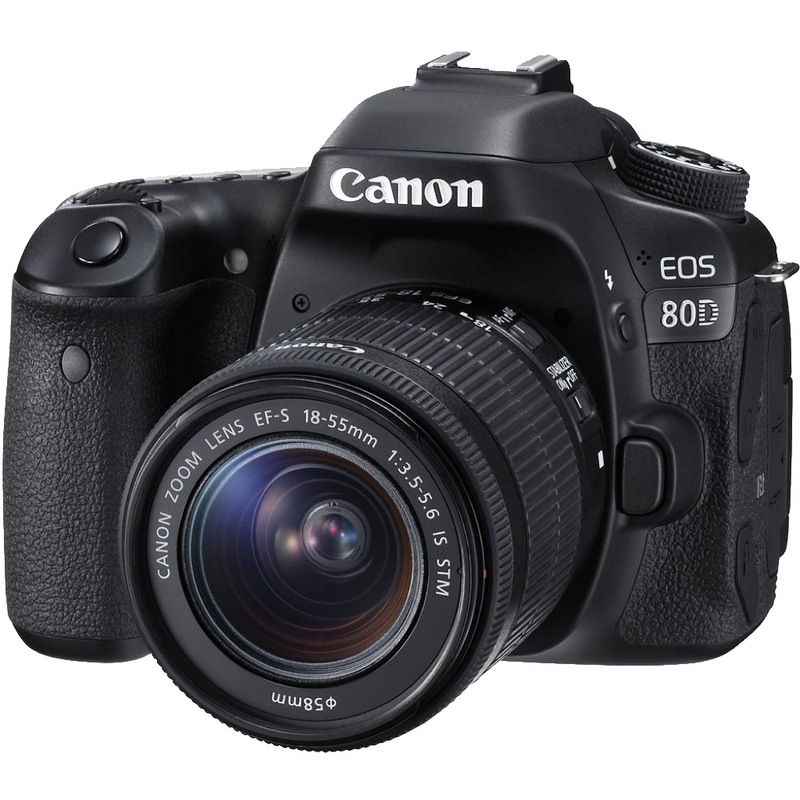 Canon’s EOS 80D is a great choice for a capable enthusiast-level DSLR. 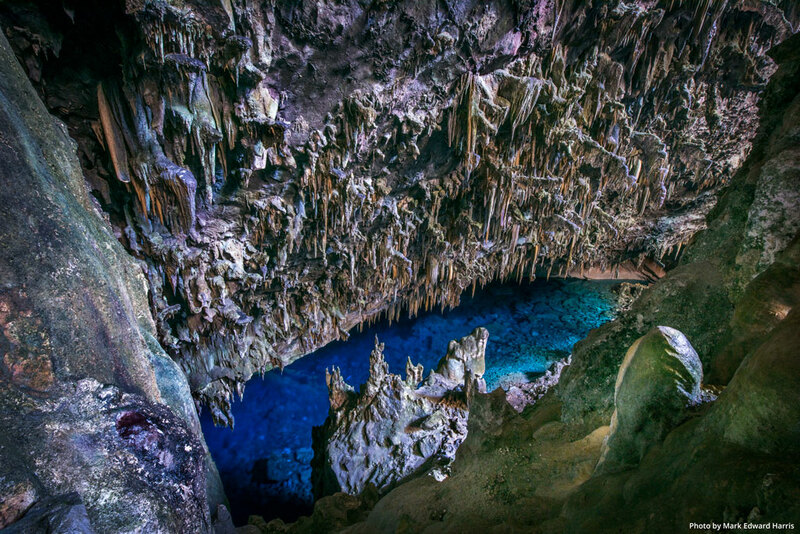 It uses a 24-megapixel APS-C sensor, making the camera slightly more compact than a typical full-frame DSLR. It features 45 cross-type autofocus points for better AF in still shooting and an upgraded Dual Pixel CMOS autofocus system for fast, smooth and quiet autofocus while recording 4K video. The 3-inch touch-screen LCD and WiFi connectivity make remote control and wireless downloading a snap, too. 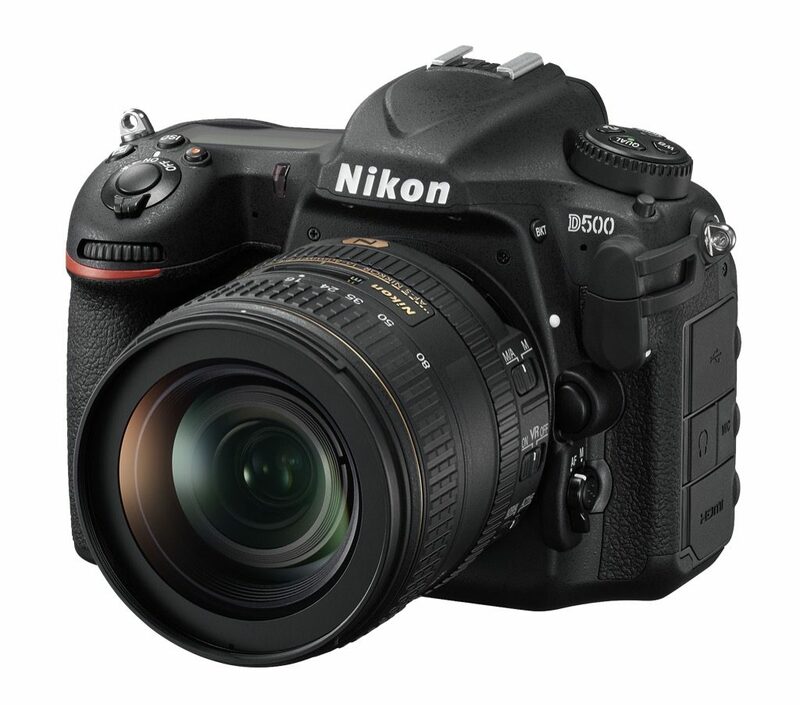 The Nikon D5600 is an enthusiast DSLR with a 24-megapixel DX (APS-C) sensor. Introduced in January 2017, this compact, affordable camera also has wireless connectivity via Bluetooth and NFC for Android, as well as a 39-point autofocus system that can track subjects in three dimensions. The 3-inch articulating touch-screen display makes creative compositions easier; no more lying on the ground to make a low-level composition complete. 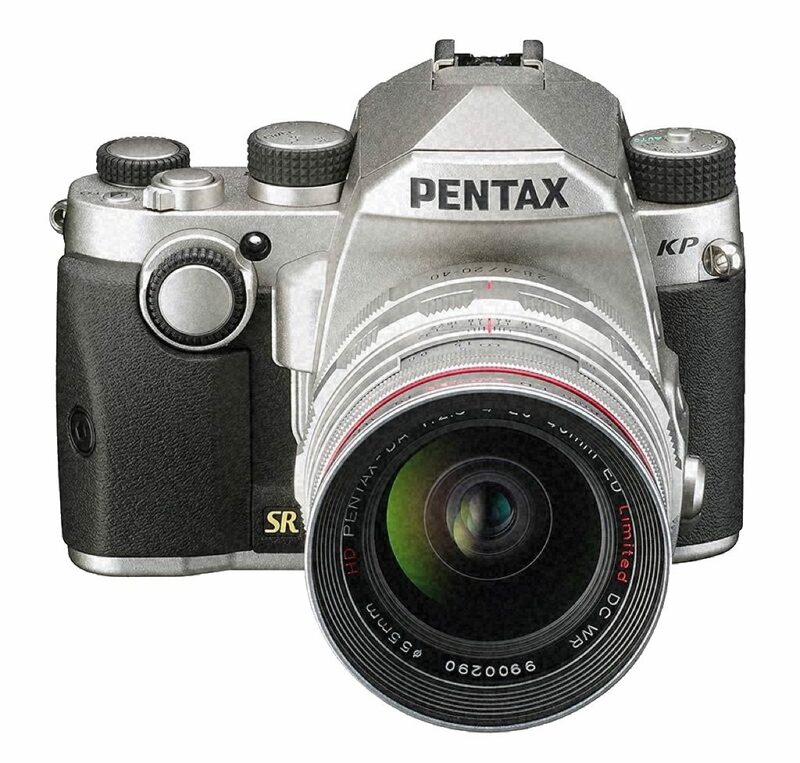 The brand-new Pentax KP is a compact, yet rugged DSLR. It features a 24.3-megapixel APS-C sensor without an anti-aliasing filter, making for sharper pictures as well as the increased risk of moiré. Its ISO range extends to a whopping 819,200, and its electronic shutter can fire as fast as 1/24,000. It also incorporates a refined shake-reduction system that provides up to five full stops of stabilization—a boon for photographers who prefer handholding in many situations. The compact body is also weatherproof—sealed to keep out dirt and moisture—and it remains operational down to 14ºF. An articulating 3-inch touch-screen LCD graces the rear of the body, which can be customized with three different battery grips. 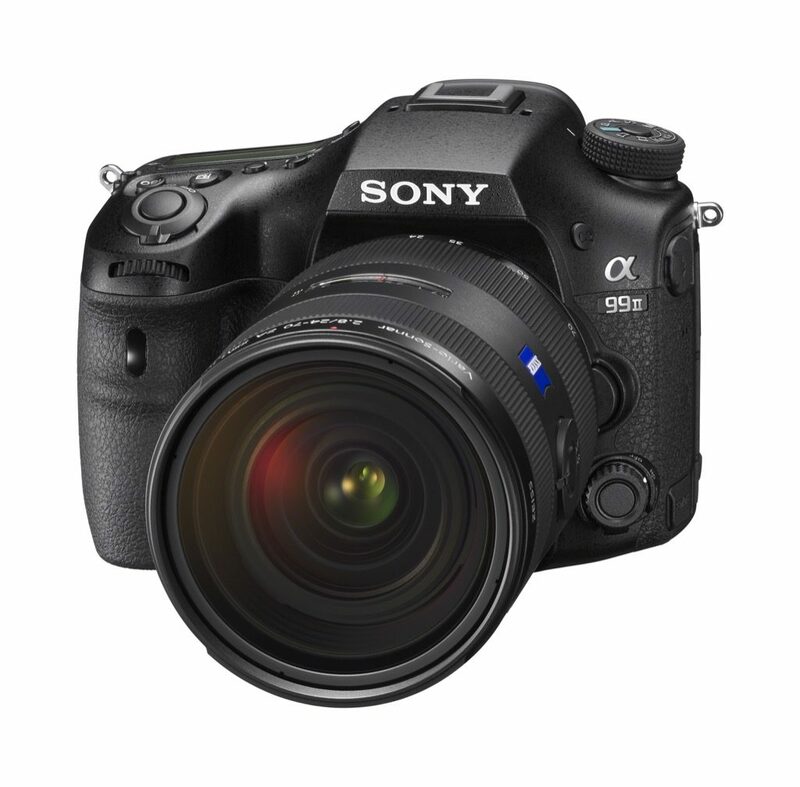 The new Sony Alpha a99 II is a 42.4-megapixel full-frame SLT: a single-lens translucent camera. Instead of a moving mirror, the a99 II uses a semi-transparent pellicle mirror to send some of the light to the sensor without having to swing the mirror out of the way. Phase-detection autofocus can this way be used during video capture and live viewing of the sensor. Video shooters will also appreciate the ability to record S-Log—kind of like RAW files for video. The compact camera can shoot 12 frames per second with continuous autofocus, making the kit appealing to action photographers, as well.